If you’ve dreamed of driving a top-of-the-line luxury vehicle but don’t want to fully commit to ownership, an Alfa Romeo lease from Schmelz Alfa Romeo near Minneapolis, Minnesota may be just what you need. Leasing an Alfa Romeo comes with a variety of benefits, particularly for drivers who are focused on a short-term driving experience and tend to log a limited number of miles. With a smaller down payment, lower monthly payments, and no hassle of resale or repairs, an Alfa Romeo lease allows you to drive a truly exceptional vehicle without an excessive stress or financial strain. While auto leases aren’t for everyone, they can be a cost-effective, intelligent way of enjoying your dream car if your lifestyle aligns well with the parameters of the lease. Contact Schmelz Alfa Romeo today to see if an Alfa Romeo lease is right for you! Whether you’re exploring the Minnesota River Valley Scenic Byway or cruising down I-94, driving an Alfa Romeo vehicle will take your driving experience to the next level. An Alfa Romeo lease from Schmelz Alfa Romeo allows you to pick out your favorite vehicle from our stunning Alfa Romeo lineup. 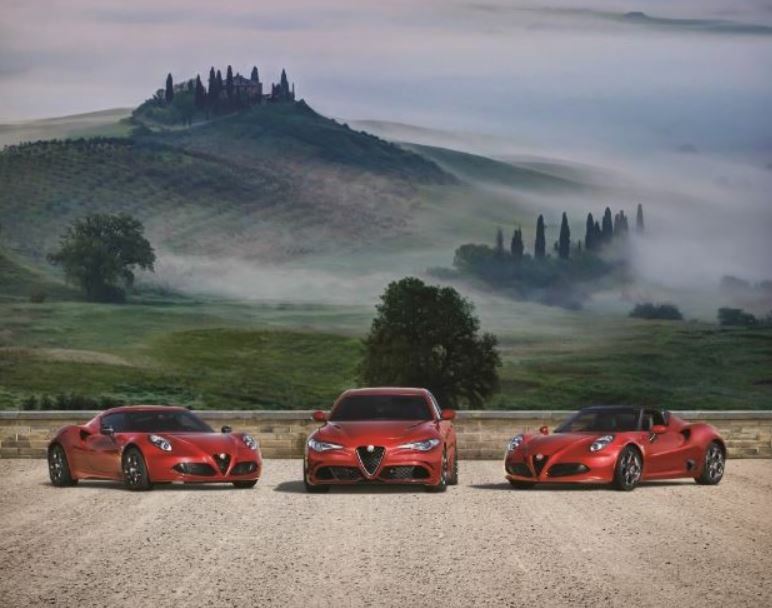 From the luxurious Alfa Romeo Giulia to the exhilarating Alfa Romeo 4C, our selection offers quality that’s hard to find elsewhere. Stop by our Alfa Romeo dealership near Minneapolis, MN or call (651) 447-5729 to learn more about our Alfa Romeo lease opportunities! At the Schmelz Alfa Romeo auto finance center, we offer experience and connections that will help you find a fantastic car loan or auto lease rate regardless of your credit score. We’ve helped thousands of Minneapolis drivers overcome budget barriers and secure affordable financial solutions: you can be next! Get a head start on your financing process today by using our online financing tools and submitting your financing application. If you have any questions about our Alfa Romeo lease opportunities or are ready to take the next step toward car financing, don’t hesitate to give us a ring or speak with us in person at our Alfa Romeo financing center near Minneapolis, MN!